Hale pet doors are the finest quality you can buy. We use only the best materials and pride ourselves on the quality of our workmanship. With just a little bit of care, you can keep your Hale Pet Door™ looking like new for years to come. Following are a few simple suggestions for maintaining your pet door. 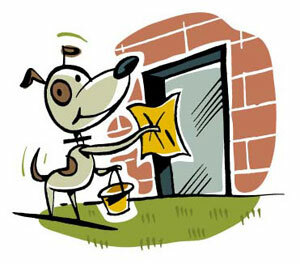 A vinyl protectant coating can be applied to your pet door’s flaps to prolong their life. If desired, you may add this protection by applying a vinyl protector (such as Armor-all) or Turtle Wax to the flaps. The magnets and weather stripping on your Hale Pet Door™ are all fully adjustable. If necessary, use a flat head screwdriver to pry the magnets out. Or you can turn the screwdriver around and use the handle to tap them in gently. They can then be replaced or repositioned as needed.